Spawn Reboot Setting Revealed, How Does It Affect the Story? 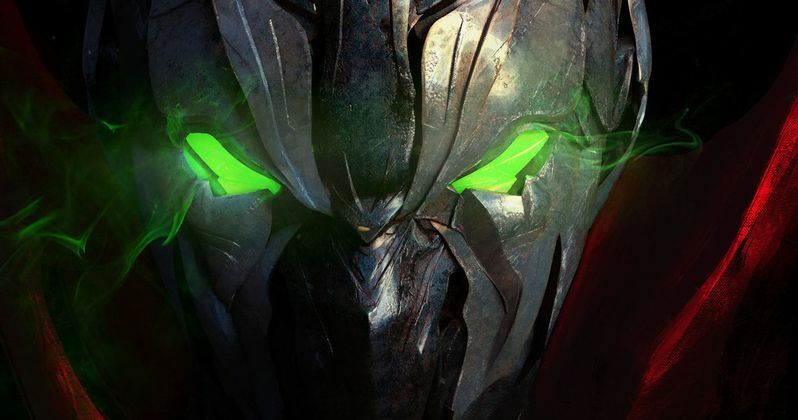 The Spawn reboot is currently in pre-production and, though Todd McFarlane is busy working on his directorial debut, he's been finding time to keep us updated on the movie. It's expected to start filming in February and that means they're in the middle of location scouting. Though the movie may not be shot on location, McFarlane has revealed that the new Spawn movie will primarily take place in New York City. Here's what he had to say about it in a recent interview. "There are different places that give incentives for you to come and shoot the movies there. So, we're going to be looking at all those given that, you know we're not going to have a big budget, so we're going to want to stretch it as far as we can, right. And so, but, at the same time given that this world takes place in New York, we're going to have to be in a place that can be somewhat convincing at times, especially for some exterior shots... though my guess, I'll probably have to do a couple pick up shots actually here in New York City, but you know, so, you're looking at places like Detroit, and Cleveland and, I'm Canadian, Toronto." In the Spawn comics, New York City is a very regular location, so this makes perfect sense. Todd McFarlane has said repeatedly that the character of Spawn is going to be more of a "Jaws" figure, lingering in the background, as opposed to making him the main focus. Twitch, from the comics, is going to be the main character of this reboot. That being the case, we're likely not going to visit the supernatural locations from the Spawn comics and will probably be watching the movie from a city level in New York. McFarlane also says we're going to see the "grungier" parts of New York in the movie. "I think those are spots you can shoot and there are areas that you can do convincing New York stock especially given you know I'm not down in the stories built around Wall Street. I don't need those buildings. It's in sort of the grungier parts of town so I can find that at in other places. So, we're going to evaluate all that so cause, again, if you save $100,000 here, $200,000 here, half a million dollars here, it may allow you to do another trick or go get another actor or something. you're basically just moving the financial pieces around to get the most bang for your buck and we're going to do all that." As for the budgetary constraints Todd McFarlane references, it looks like Spawn, which is being made for Blumhouse Productions, is going to carry a budget of around $10 million. That's incredibly low for a comic book movie, so they're going to have to save every penny they can, where they can, as he makes clear in this interview with Comicbook.com. Filming in New York City would be far too expensive, so they'll have to take advantage of a tax credit from a city that offers one. There's no release date set for the Spawn reboot yet, but it's likely that we'll see it sometime in 2019, since the movie begins filming in February.